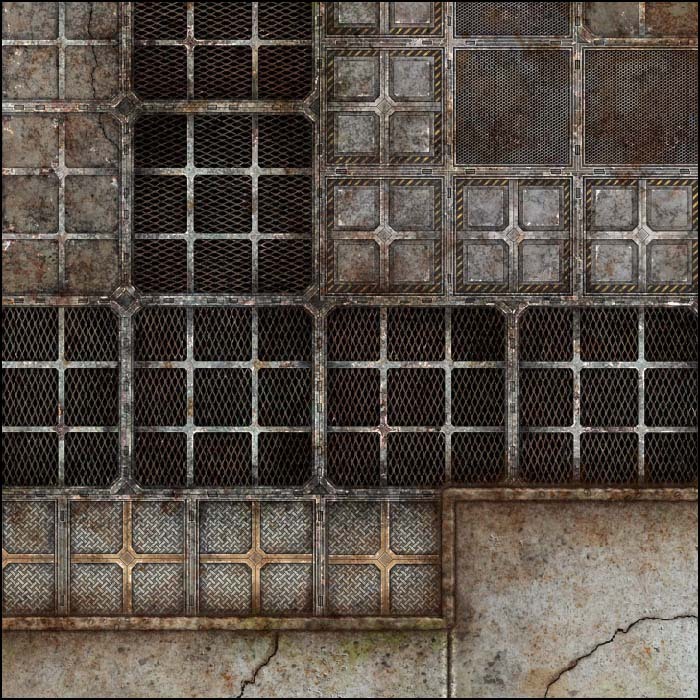 This is a 48x48 inch battle mat for your science fiction tabletop games, featuring a grimy portion of a crowded industrial area. 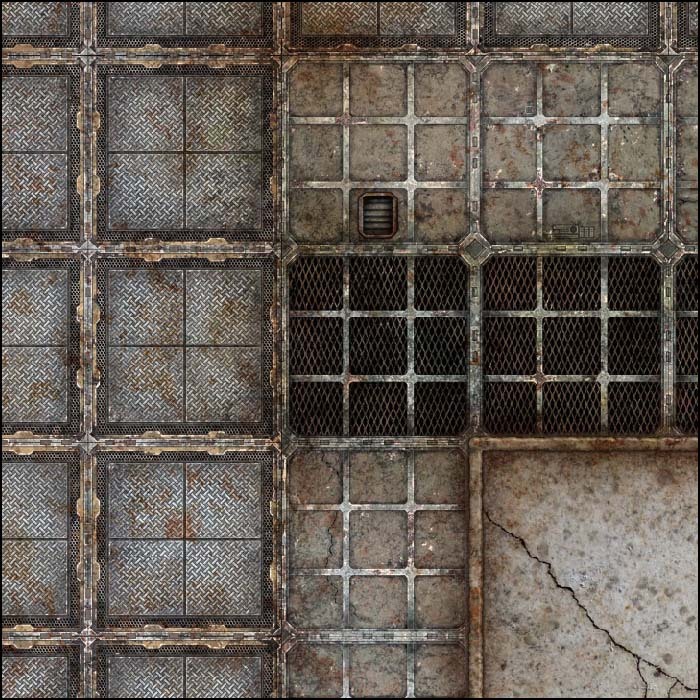 It includes grated pathways and open spaces, and concrete pads for your three-dimensional terrain pieces. 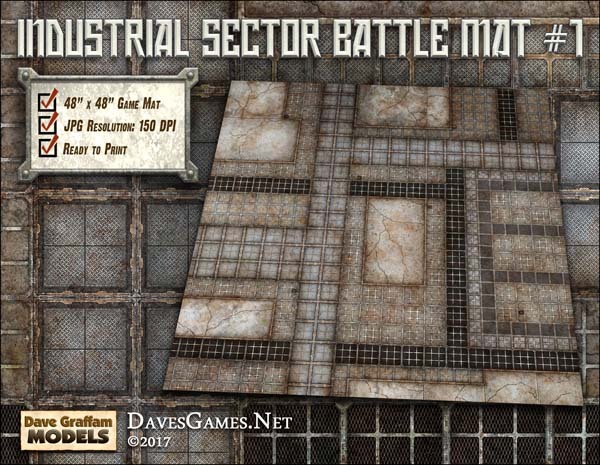 This 150dpi JPG battle mat is now available for just $2.95 at Wargame Vault, RPGNow and DriveThruRPG. 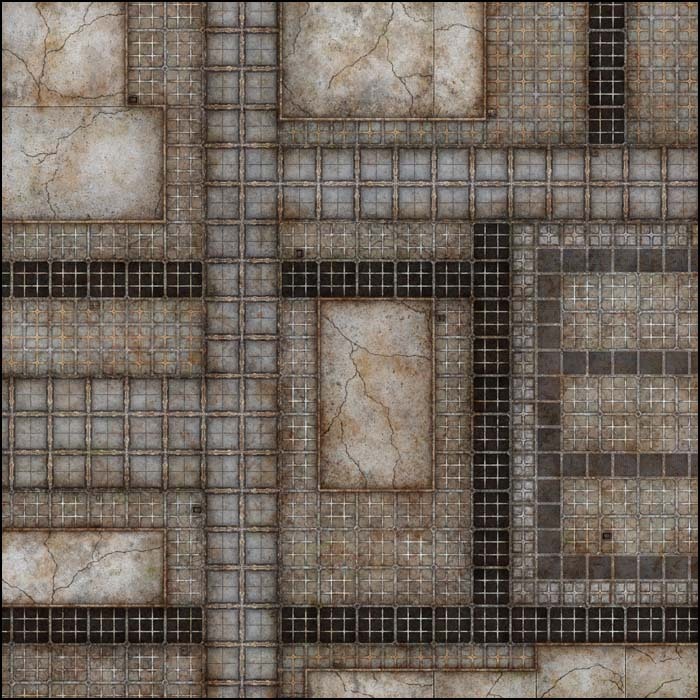 I bought the spacemat like this, and I cannot figure out how to print it in tiles/ Is that not possible? 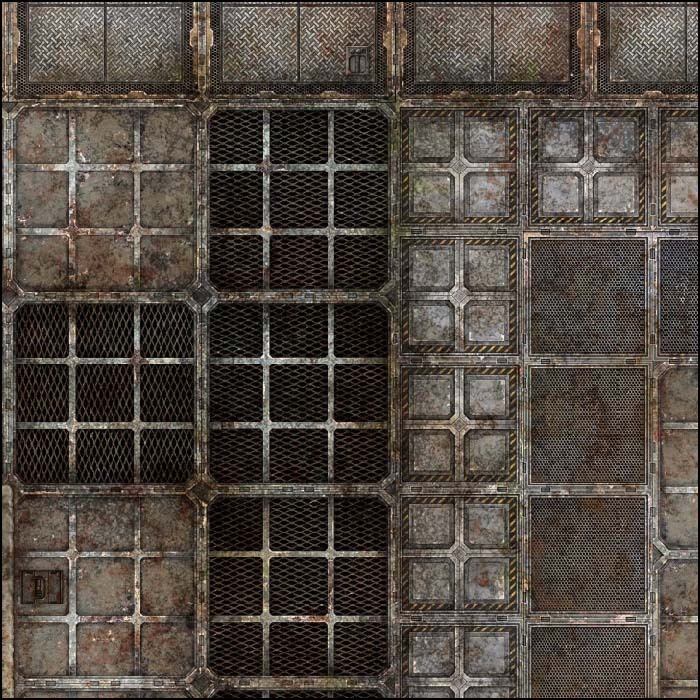 See if your printer driver has a "posterize" option.